Beaches are dynamic, living landscapes, and the prime example of beach evolution is the coastal barrier. These strips of land are usually long and narrow, and run parallel to the mainland. Scientists estimate that there are more than 2,100 barriers fronting nearly 10 percent of the world’s continental shorelines. In the United States, barrier spits and beaches line up along nearly a quarter of the coast. These sandy barriers are constantly raised up, shifted, and torn down by the natural ebb and flow of waves, currents, winds, and tides. Hooks form, inlets open and close, and beaches slowly march across their back bays and lagoons toward the mainland. This process allows them to naturally move ever upwards as sea levels rise. 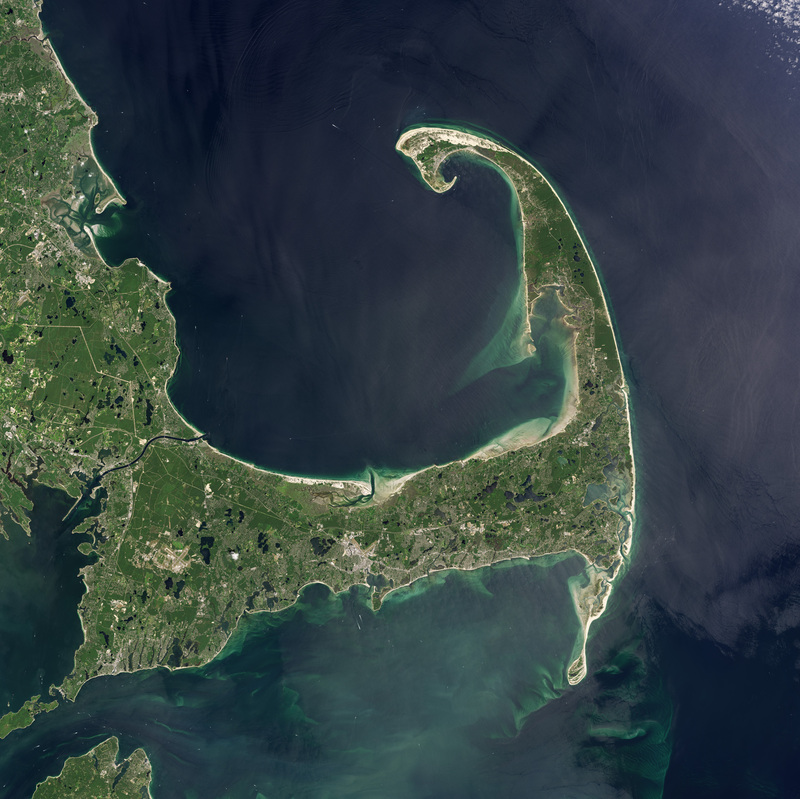 On the southeastern elbow of Cape Cod, where the New England coast reaches out into the cold and choppy North Atlantic, this natural progression has been taking place in full view of satellites for more than 30 years. The images above were acquired by the Operational Land Imager on Landsat 8 (top) and the Thematic Mapper on Landsat 5 (bottom). 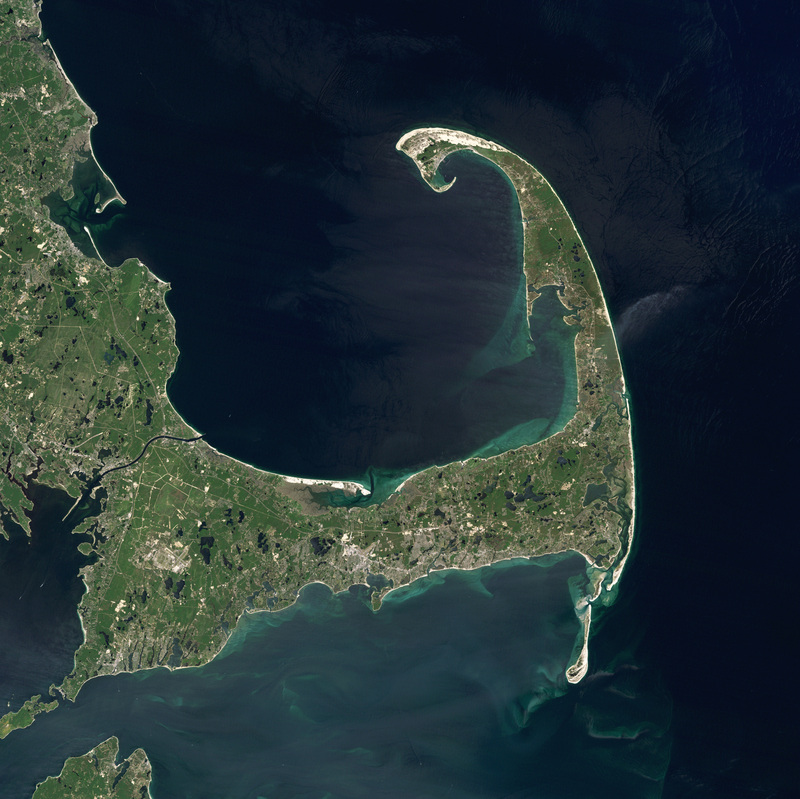 They show the shape of the coast off of Chatham, Massachusetts, on June 12, 1984, and July 30, 2013. Visit our longer World of Change time series to see the years in between. The changes to the Nauset-Monomoy barrier system in this part of Cape Cod are sometimes subtle and sometimes dramatic. 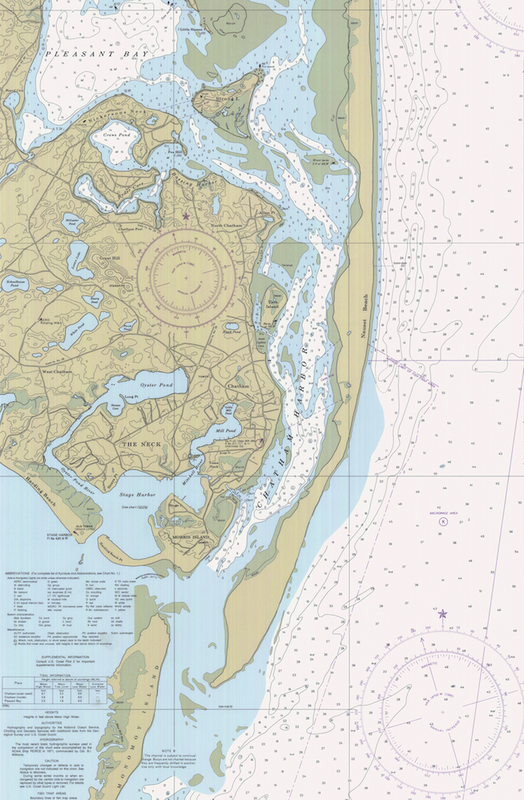 In 1984, an unbroken barrier spit shielded the Atlantic-facing coast of Chatham and its harbor. South of the mainland, North and South Monomoy Islands stood apart from each other and from the coast. 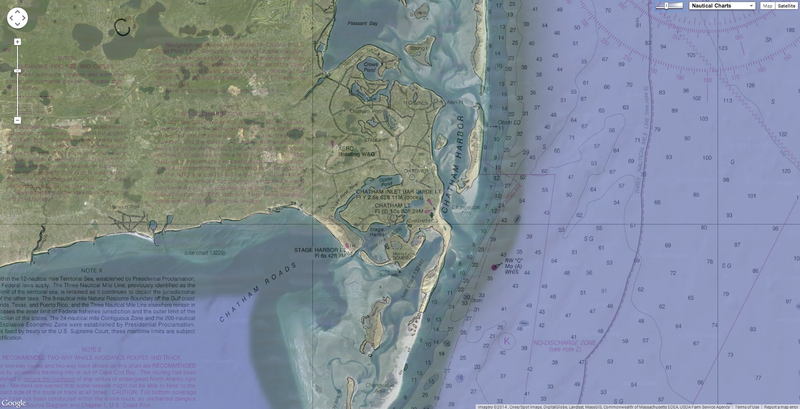 Over the span of 30 years, three major breaches opened in the system and the barrier islands connected to the coastline and to each other. According to Graham Giese, a coastal geologist at the Provincetown Center for Coastal Studies, the patterns of barrier and inlet evolution in this area have been going on for at least the past three hundred years, and perhaps longer. The landmass was laid down at the end of the last Ice Age as the Laurentide ice sheet retreated and rivers and streams of melt water dropped sediment and carved the landscape. As sea level rose over the past 10,000 years, the ocean ate at the glacial deposits that lay as far as four miles offshore of the present coast. Sea cliffs—some towering over 100 feet high—were created by wave action, while strong winds produced great dunes. These features are protected today in the Cape Cod National Seashore. Giese and other researchers have identified a recent cycle of beach development and migration around Chatham that seems to repeat roughly every 150 years. Depending on your location along the coast and your timing, the movement of sand around you may be driven by ocean waves or by tides. Waves usually dominate, promoting longshore transport. High-energy open-ocean waves from the Atlantic crash into the Nauset-Monomoy barrier system at various angles, scouring the sandy glacial leftovers and creating currents that run parallel to the shore. Erosion along the Nauset-Monomoy barrier system can move the beach anywhere from 1 to 6 meters a year (3 to 20 feet). Sea level rise—a least one foot in the past century—is also slowly taking away the beachfront. “Many people view coastal erosion as a problem that needs to be addressed and, if possible, prevented,” wrote coastal geologist Robert Oldale of the U.S. Geological Survey. Changes to barrier beaches and Cape Cod in World of Change: Coastline Change.